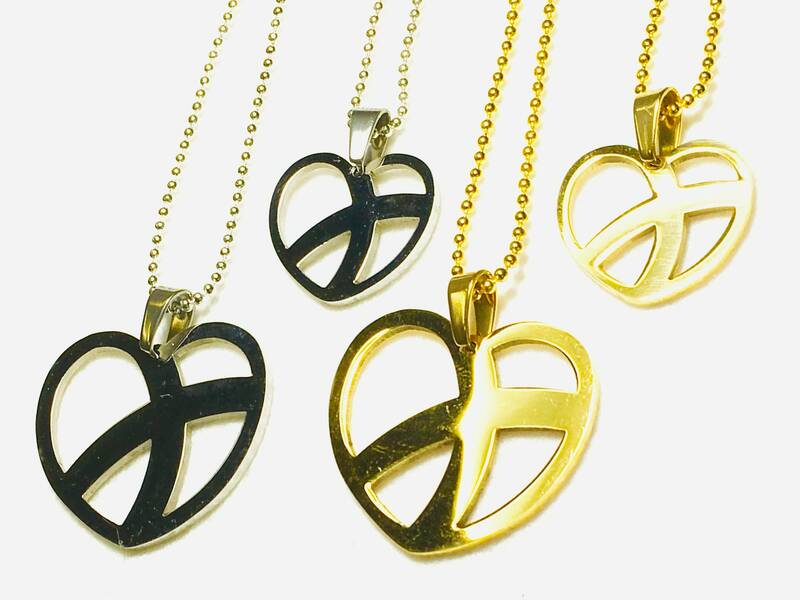 Heart Necklaces! Pendwnt comes with a 1.5mm x 18” beaded Necklace with positive locking lobster clasp. Very elegant. 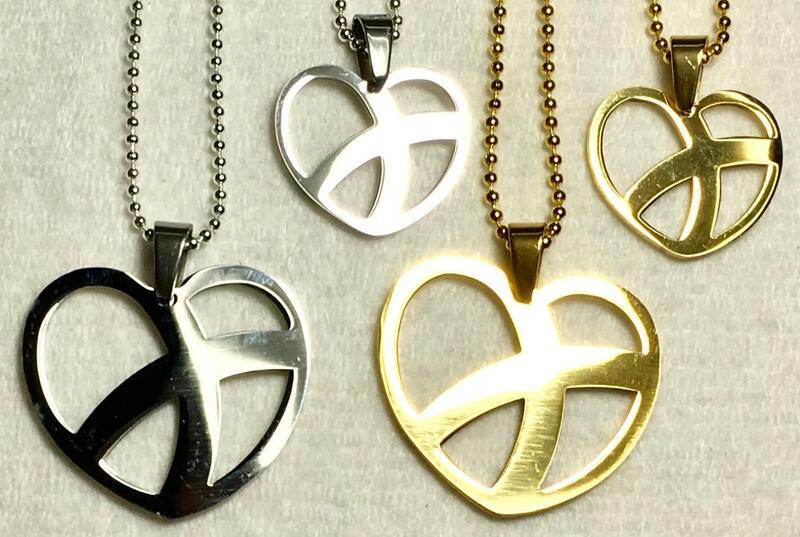 Crossed Roads (curved) Heart-Cross high gloss silver stainless steel or 14k gold finish over stainless steel. Matching Earrings are available in Silver. Can be seen behind even long hair! The high gloss finish sparkles and bounces light as you move. o Large Pendant measures 1 1/8” long x 1 1/8” wide. o Small Pendant measures only 3/4” long x 3/4” wide. The Crossed Roads (curved) Cross is a one of a kind unique custom design that is only available at Saint Michaels Jewelry! The Crossed Roads is meant to represent that moment in your life when you made the decision to put God first and you were forever transformed. Stainless Steel will retain it's luster for many years to come. Each Earring is Silver in Color. Necklace comes with a complementary 1.5mm x 18" bead chain.